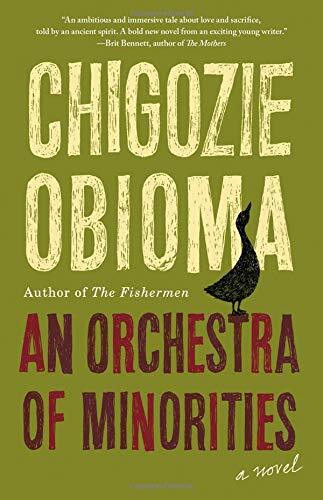 "Chigozie Obiama is one of many top-notch Nigerian novelists writing today." This is African magical realism. It is partly mysterious musings and happenings. Partly a sad story of unrequited love. Chigozie Obiama is one of many top-notch Nigerian novelists writing today. They are well appreciated in the US and Britain. He is closest to Ben Okri, the Booker prize-winner (the UK’s senior literary prize) who initiated African magical realism with his amazing, totally unusual and path-breaking, The Famished Road. Egbunu, a poultry farmer, is the love-stricken man and the story begins with him talking a love-hurt woman, Nadi, out of killing herself by jumping from a high bridge one dark night. “A deeply wounded woman,” he concludes. Some days later he sees her driving along the street and he recalls his shock at the encounter. It “fastened itself to a branch of his mind like a viper.” She stops the car and they meet. They decide to meet for dinner. A few days later she texts him and asks if she can visit him at home. Unsurprisingly, they become lovers. She is studying to be a pharmacist. Her father is very rich. She invites him home to meet her parents and brother. They take against him. She would be marrying beneath her. Egbunu hears that a good, cheap, way to get a degree and thus upgrade his attractiveness to her parents would be to go to university in Cyprus. He is double-crossed by an old friend who was going ahead with his money to secure a place in the university and to find him an apartment. He arrives impoverished. The university turns him down. The sad story continues. He is too ashamed to keep in touch with Nadi—he feels he goes from one crisis to another and he shouldn’t be in touch until he has got his degree. And so it goes on. . . .
What a remarkable writer Chigozie Obiama is.